Considering Selling your home this Spring: Here are some ways to get your home ready! 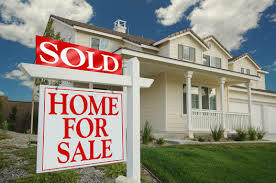 Planning on selling your home this Spring…now is the time to get it ready for sale to ensure is becomes SOLD!!! As many people know, the optimal selling season for real estate is Spring and Summer. So, many people plan to put their homes on the market in the Spring to take full advantage of the optimal selling season. There are some specific things you can do to prepare for the Spring to best optimize the season. 1. Choose a competent agent. The National Association of Realtors (NAR) indicates that most sellers only interview one agent. This can be good and bad, depending on the one agent you interview. This could mean that was the agent who sent you a postcard or called you when you were first considering selling your home. Does this make them the best agent for you? Maybe, but you need to be sure. Does your agent have to be the most successful agent in your market? As an agent who isn’t the most successful in my market, I can say with certainty that this is not the case. Past success does not equate to future success. I would suggest that you take your time when interviewing the prospective agent. Do not be afraid to ask tough questions of each agent you interview since this is their job and they should be prepared for your questions. The agent should have a detailed marketing plan to best position your home. Additionally, it is not simply the marketing avenues, but how your home is positioned. The agent needs to know how to properly expound on the virtues of your home, not just simply place it on the MLS and websites. Remember, the marketing should be geared towards the buyer, not other agents. Personally, when I look up homes for my buyers on the MLS, I rarely read the remarks about the home. I am looking at the specifics of the home such as amenities, room sizes, or whatever else my buyer finds important. Buyers always read the comments and those comments are published on several websites, so it should be effective to appeal to the targeted buyer. In real estate, we cannot steer our buyers or properties, but in essence, each home has a specific target market. For instance, you would not promote the features of a starter home towards an empty nester couple. Most of the starter homes will be purchased by young families who are making their first home purchase. I live in an upscale town home subdivision where most of the homeowners are empty nesters. Why would I promote the great schools when chances are, the buyer would be an empty nester who wants the benefit of maintenance free living. I would sell my townhouse to a young family in a heartbeat, but the odds are against it. Your agent should be able to target market your home. In essence, your agent should be able to demonstrate his/her market knowledge. They may not know all of the answers, but they should have a general working knowledge of your market. I like to keep it simple…you should like and trust your agent. Like because you will be communicating with them and working closely with them until your home sells. Trust because you need to be confident they have the knowledge and experience to do the job, while honest enough to tell you the truth about your home. You should start packing since you have already mentally moved out of the home the moment you decided to sell. This is no longer your home. Of course, you cannot pack everything in your home, but you should start packing many of the personal items and removing the clutter from the home. This is a great opportunity to purge your home of those items we collect over the years, but no longer want or need. If needed, rent a storage room close to your home to move these items since you don’t want boxes lined up throughout the house. This does not show well when trying to sell. While packing, make sure your house is cleaned completely. It can be a huge challenge if you have to start cleaning your house for marketing pictures and can delay getting the house on the market. You are looking to list in the Spring, so consider this a Pre-Spring cleaning. Make sure you also clean the exterior of the house, possibly with a power washer and clean all of the windows. I know this is a hassle, but in a competitive market, anything can make the difference. 3. Repair any broken or damaged items. Since any buyer will order an inspection of the house, you might as well as get these things done before you list your home. A home that is well-maintained will always sell quicker and for more money than one that needs major repairs. After you are sure all of the mechanical items work such as furnace, A/C, etc., you need to focus on the cosmetic. Buyers do not fall in love with the HVAC unit, they fall in love with the house, then they have the HVAC unit inspected to see if it is working properly. While you are painting, cover any unique wall covers with a softer, more generic color. Even though it is very easy to paint a wall, many buyers are turned off because of the wall colors. Be sure to repair any minor issues such as sticky doors, burned out lightbulb, and loose knobs as these minor fixes can make a buyer believe the house is poorly maintained if the small items are not working properly. When your home is on the market, I would encourage my clients to pick up, clean up and fix up daily, so you might as well as start now. As you may imagine, every aspect of the property can help determine whether a home sells or not and the yard is no exception. Since you are preparing before the Spring flowers start to bloom, you may not spend as much time on planting flowers, but you could always make a landscape plan that can be implemented just before you contact an agent. Either way, the grass needs to be treated and may even require you to add grass seed and fertilizer. The optimal time to do this is in the fall (from my limited horticulture knowledge), but its better to do it later than to not do it. A full lawn can be a huge selling point. Also, make sure you have pruned all of your bushes and trees so they look presentable. One thing many sellers fail to do is to walk to the curb and look at your home. What impression does it give you? If it isn’t warm, welcoming and inviting for you, it will not be warm, welcoming and inviting to a potential buyer. Curb appeal does sell and greatly impacts the mojo of your home. Your agent will do this, but you need to do it as well to avoid sticker shock and to ensure your agent is knowledgeable of the market. Trust but verify is not just a slogan, but a great way to approach your interactions with anyone, let alone a real estate agent. With the Internet, it is very easy to see how homes are priced in your area and to get a strong indication of the selling price. I don’t expect you do perform your own Comparative Market Analysis (CMA), but you should have knowledge of homes in your community. This will help you avoid pricing your home too high or too low. Most agents will push to price your home lower as it is the perception that this will ensure the home sells quickly, but you don’t want to give the house away. If you do not have a good understanding of the market, you can be convinced to price it low. While you are researching the market, another item to check is the average Days on Market (DOM). This will give you an idea of how long it will take you to sell your home. We would all like to think that we can sell our precious homes within weeks of putting it on the market, but in reality, many homes takes several months to get an offer…and usually only if it is priced right. Some outside factors that can impact your homes sale is the overall economic conditions of your market. We have all heard how a few years ago you could purchase a 3,000 sq ft home in Detroit for less than $10,000. Where this is an extreme example, if the unemployment is high in your area, there are fewer buyers who can qualify to purchase a home. It can be a snowball effect. For example, if your home is a larger home that an established family would purchase, you may have the issue where they cannot sell their starter homes because there are no buyers for it. In the Triangle region of North Carolina, this is not a major issue as the unemployment level has dropped last year and the general health of the economy has begun to strengthen. I mention this aspect to make sure you are informed. The best marketing strategies will not work if the economy is poor. I hope these have helped you prepare for the Spring market. In Raleigh, the market tends to begin to improve in March so you still have a few weeks to get your home ready for sale. If you are looking for the right agent, call me. I may not be a good fit for you, but I will give you solid advice on your home and a pricing strategy. You are currently browsing the Back Nine Homes blog archives for February, 2014.